BETHESDA, MD—In an earnings call, Pebblebrook Hotel Trust reported that it remains convinced that a merger with LaSalle Hotel Properties presents the most compelling strategic opportunity for the shareholders of both companies, and the company’s board of trustees unanimously supports a combination with LaSalle. LaSalle, owner of 41 luxury hotels, previously received numerous offers from Pebblebrook Hotel Trust. Pebblebrook’s post-acquisition plan was to form a portfolio of upscale hotels in order to compete with REITs. Pebblebrook’s offer was resubmitted to LaSalle’s board in a separate letter on July 20, and the company is prepared to move forward with it immediately. On July 10, the REIT filed a preliminary proxy statement to urge LaSalle’s shareholders to vote against the proposed Blackstone offer of $33.50 per share. Pebblebrook’s portfolio generated healthy year-over-year growth in operational results and saw demand accelerated in the second quarter, driven by improvements in business travel demand—both group and transient—and inbound international travel that has reversed and is now growing. In addition, Same-Property RevPAR increased 2.6%, which is at the upper end of Pebblebrook’s RevPAR outlook of 1% to 3%. The RevPAR increase was driven by a 1.5% increase in the REIT’s average rate and 1.1% increase in occupancy, according to the earnings call. Hotels in Pebblebrook’s portfolio performed well through the second quarter as the company took advantage of improving business demand fundamentals, according to Bortz. “San Francisco was our strongest market in the second quarter, with RevPAR climbing 15.5%, largely attributed to a more active convention calendar at the Moscone Convention Center, the favorable ramp-up of Hotel Zoe Fisherman’s Wharf, which was redeveloped and transformed last year, and our newfound ability to drive ADR growth with increased compression in the San Francisco market,” said Bortz during the earnings call. 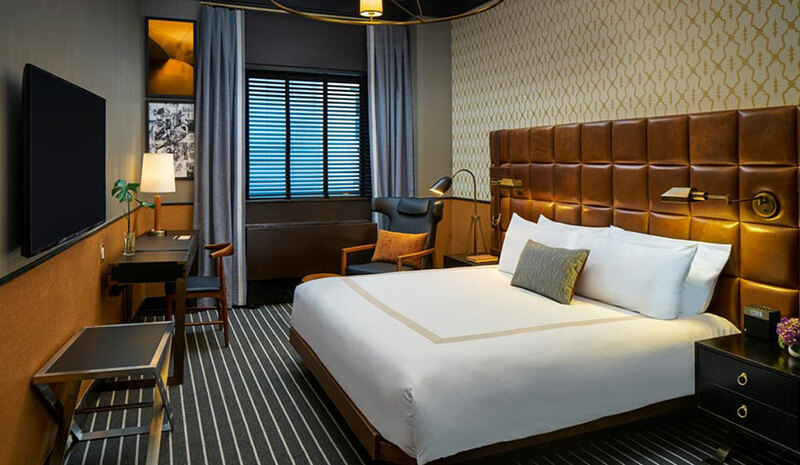 W Hotel Boston—guestroom renovation beginning in the fourth quarter, with an expected completion date in the first quarter of 2019. Sir Francis Drake—upgrades to its lobby and an expanded guestroom refresh, featuring guest bathroom tub-to-shower conversions, beginning in the third quarter, to be completed at the end of this year. Hotel Zelos San Francisco—guestroom refresh and an expanded guest bathroom renovation to be completed by the end of this year.